When I opted for Christie Marie Sheldon’s love or above program, I received a few bonus sessions (which I guess are still available) and in one of those sessions Christie talks about Indigo, Crystal and Rainbow Children. 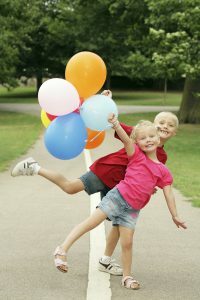 I completely agree with Christie that all kids are equal having some unique gifts and there is not something very special about these kids that differentiates them from the other kids, apart from their ability of having higher intuitive awareness and an unique aura pattern. Every kid has the ability to learn, develop and become whatever they wish to be, so the labeling that we do here is to just differentiate the specific characteristics of the group of these kids. So, once I got to know about these kids, I did a little research and here I am going to discuss with you about what I have learned from various sources. The label “Indigo Children” given to these kids is because of the indigo colored pattern in their aura (the energy field around their body). These kids are highly intuitive and connected to their spiritual part, it is said that a lot of indigo children were born after 80’s as the result of the shift in the collective consciousness of the planet. What Makes Indigo Children Different? They have an aura different from the traditional ones, usually a kid inherits the aura pattern of its parents and all the children are highly receptive to the beliefs, ideology and characteristics of the people who raise them. On the contrary, Indigo kids are not that highly receptive to the beliefs of other people. These kids have their protective mechanism for negative suggestions, they can read vibrations and they don’t like people who are operating from a lower consciousness level. These kids were mostly born in dysfunctional families and it is said that they chose such atmosphere to enlighten people and to help them to get closer to their inner self. Unfortunately, the lack of awareness among their parents leads them to get engaged in their own isolated world because they start to feel that nobody understands them. There are a few specific characteristics of indigo children, but it is not possible to accurately identify them by just cross checking these characteristics. Indigo children have a fierce temper and they behave disrespectfully with people who are not very close to their inner being or higher self. These kids are very stubborn and they create a lot of trouble to get what they want, nobody can force them to do something they don’t like to do. Indigo children have frequent mood swings, one moment they would be angry about something and the next moment you may see them laughing by shifting their focus to something else. They are rebellious and determined; they may seem very strange to their friends and family. Indigo children have an inclination towards spirituality from an early age, their psychic sense is very sharp-they can detect dishonesty instantly. Indigo kids are against the rules, so they may perform poorly in traditional schools but, if the school is more oriented towards fun and creative learning then they will perform exceptionally well. How to Know Indigo Children? As I mentioned before, it is not possible to identify indigo children based on their characteristics alone. I guess for doing this one would have to perform certain intuitive tests or learn aura viewing. However, in her course love or above Christie Marie Sheldon has taught muscle testing, which can be used for various purposes other than this as well. I am more in favor of what Christie suggests in her program that no matter if your kids belong to these groups or not, you can help them to make intuition based decisions by being intuitive yourself and she has also explained the way to do this, every kid can become highly intuitive if their parents take the initiative of teaching intuitive living to them.